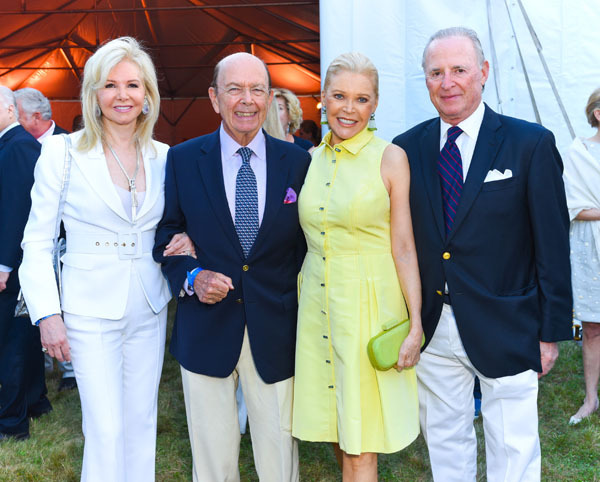 Benefit Chairs Bill Ford and Marigay McKee, Terrence McNally and Tom Kirdahy, Stony Brook Southampton Hospital’s Chief Administrative Officer Robert Chaloner, and Southampton Hospital Foundation President Steve Bernstein welcomed 700 supporters to Stony Brook Southampton Hospital’s 59th Annual Summer on Saturday, August 5th. 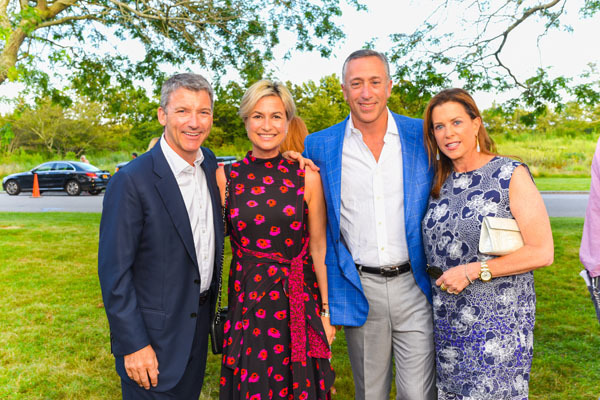 The night raised more than $1.5 million to provide support for the Jenny & John Paulson Emergency Department, the sole provider of emergency care on the South Fork, treating more than 25,000 people annually. The festive evening was emceed by Fox 5 Good Day New York host Greg Kelly and brought out supporters including Congresswoman Carolyn Maloney, U.S. Secretary of Commerce Wilbur Ross and wife Hilary Geary Ross, Southampton Village Mayor Michael Irving and wife EllenIrving, Somers and Jonathan Farkas, Margo and John Catsimatidis, Julie Ratner, Douglas Elliman Real Estate Chairman Howard M. Lorber, who is also Chairman of the Board of Trustees of the Stony Brook Southampton Hospital Foundation, Stony Brook Southampton Hospital Association Chairman Kenneth Wright, and Stony Brook University President Dr. Samuel Stanley. 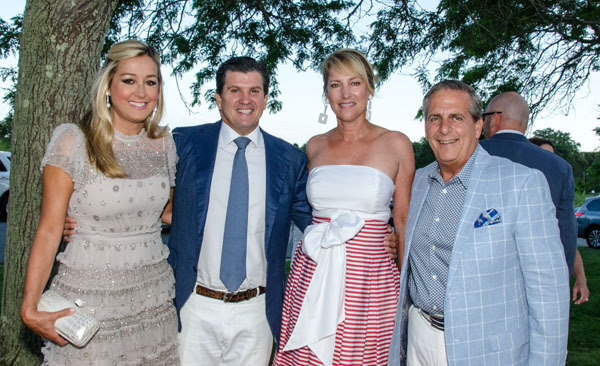 The evening’s Honorary Chair was Georgina Bloomberg, and former event Chairs in attendance included Jean Fitzsimmons, Jean Shafiroff and husband Martin Shafiroff, and Audrey Gruss and husband Martin Gruss. 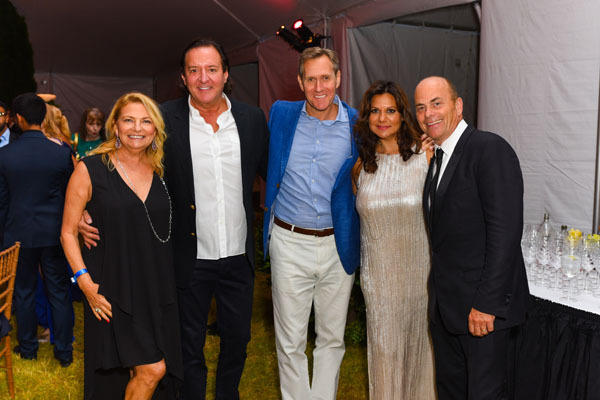 Lawrence Scott Events transformed the tent with lavish buffets decorated with delicate blooms and dramatic table centerpieces of white roses, while music from the Groove Society kept everyone dancing. 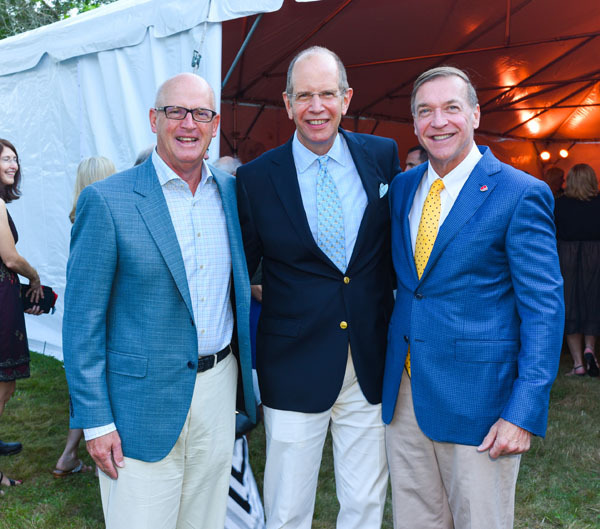 After Mr. Kelly welcomed guests, he asked Mr. Chaloner to the stage, who revealed that after a decade of discussion, Southampton Hospital was officially a part of the Stony Brook Medicine health care system, which allows patients at the hospital access to significant resources and advanced technology. The collaboration includes a new cardiac catheterization laboratory, part of The Audrey and Martin Gruss Heart & Stroke Center and the Phillips Family Cancer Center, which will make top-level cancer care more readily available to East End residents. Stony Brook Southampton Hospital is recognized by the NYS Department of Health as a provisional Level III adult trauma center, the first one on Long Island’s East End. This designation enables the Hospital to provide care to the most critically injured patients. During the summer season when the regional population swells, it is even more critically important that trauma care be accessible close by. Faster treatment for trauma patients can mean the difference between life and death, so support for this essential service is vital.